Click here to know more about Honda CB Unicorn 160. Click here to know more about Suzuki Gixxer. Equipped with a 5-speed manual gearbox. 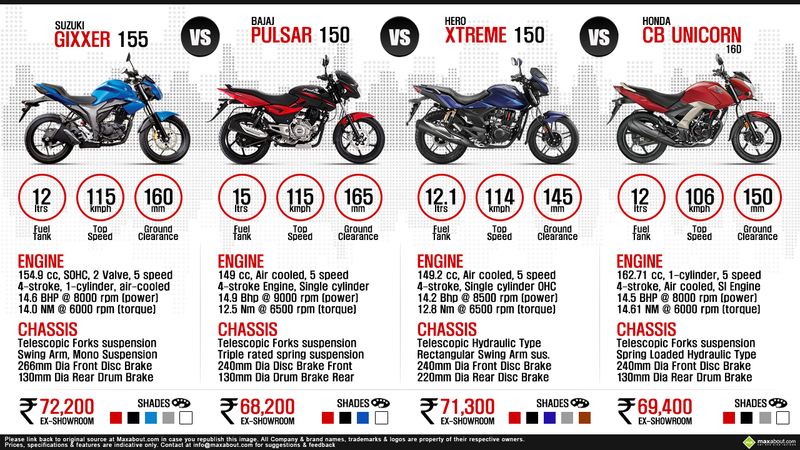 Click here to know more about the Hero Xtreme.